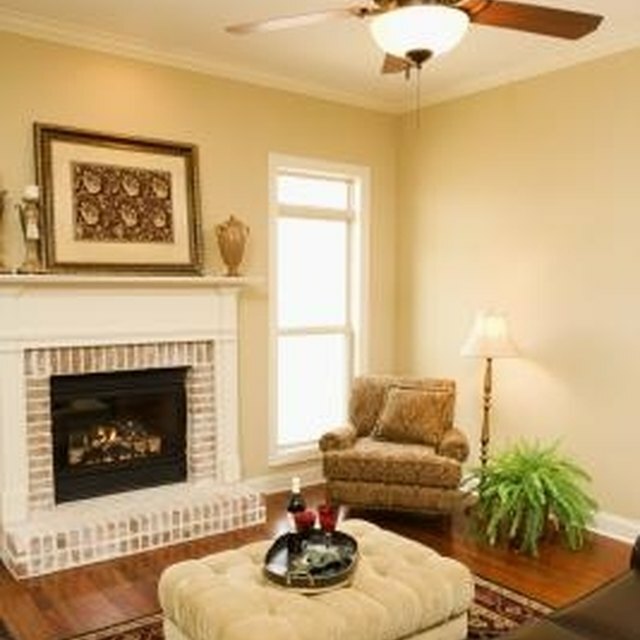 We rely on electrical devices for consistent performance; however, that's not always what we get. Sometimes when plugging an apparatus into an electric socket there's a blue flash with a loud pop followed by brief smoking from the outlet. Chances are this nearly shocking event was caused by faulty electrical wiring inside the plug. 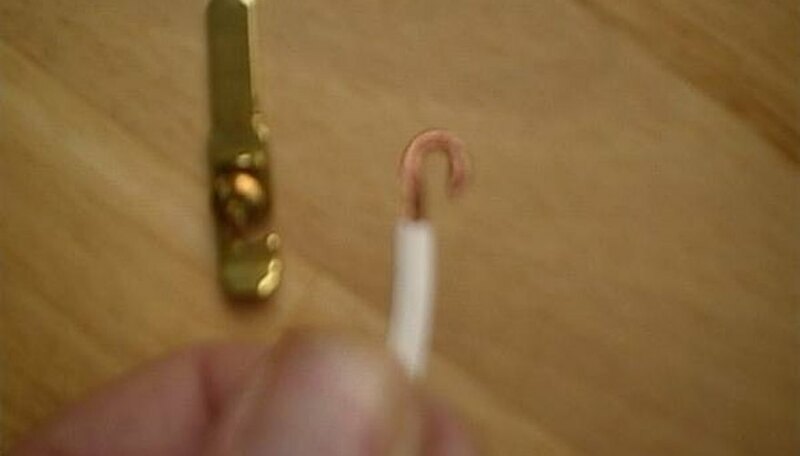 But don't worry, it's fairly easy to rewire electric plugs yourself, instead of having to buy a new electrical cord. Open the plug to expose the wiring. Slip the divider out from between the prongs with the point of a sharp knife. Push one prong toward the middle, then pull up through the housing. 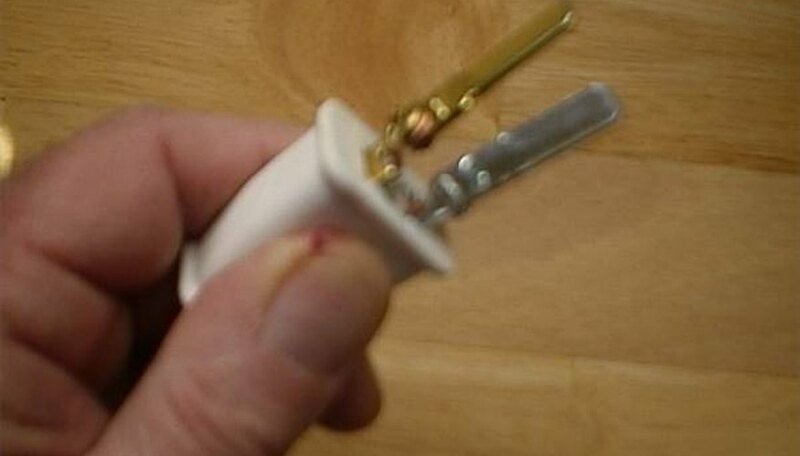 Pull the other prong out in the same way. Examine the electrical wiring. Detach the wires from the prongs with a slotted or Phillips head screwdriver. 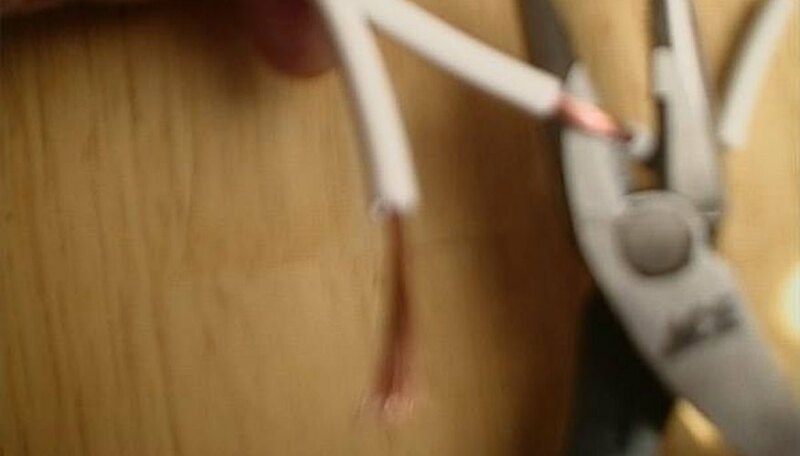 Wires that are frayed can contact the opposite terminal and cause short circuiting. Check the plug and terminals. 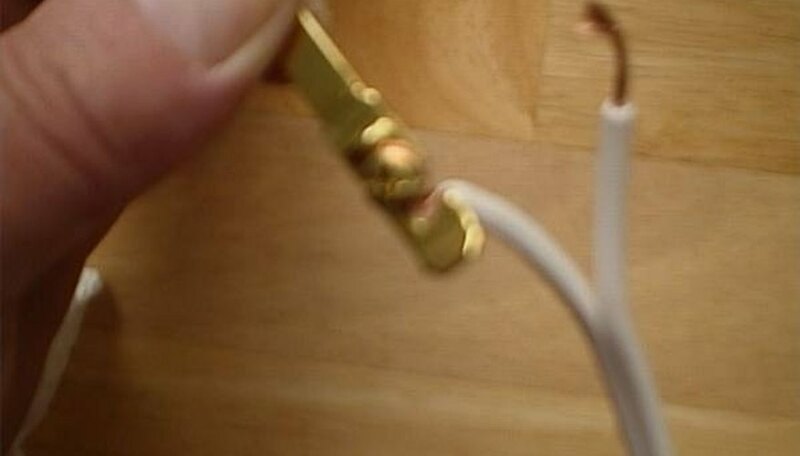 Replace the plug if it's worn, burned, or discolored. 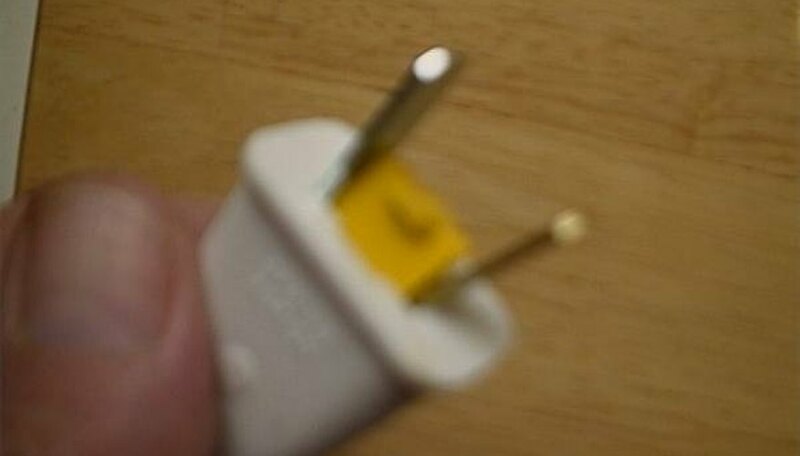 New plugs are sold at hardware stores and electrical supply centers. Clip and strip the old wires. Pull the dual cable about 2 inches apart down the center. Cut off the exposed wires along with 1/8 inch of the insulation around them with wire cutters. Strip a1/2 inch of insulation off with the blades on the wire cutters to expose new wire. Twist the wires to prepare them for connection. 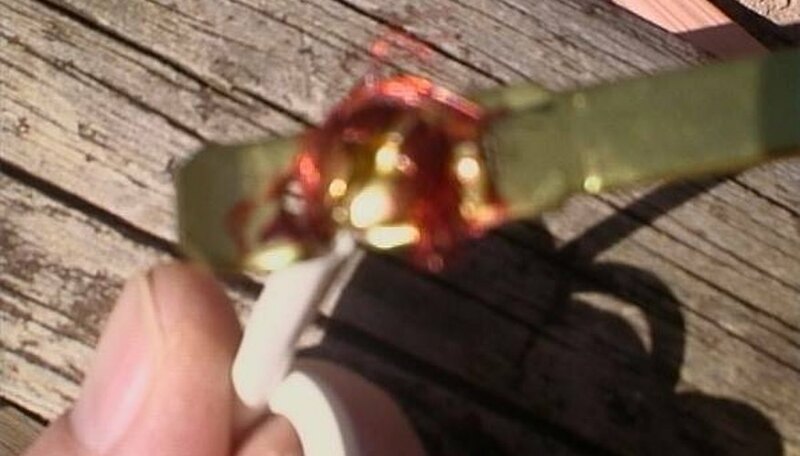 Pinch the copper strands between your fingers and twirl them into a single string. 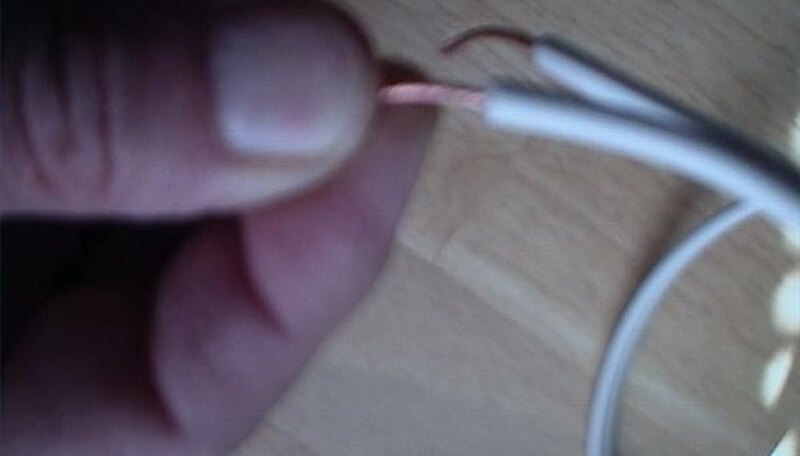 Make a hook out of the wire string to attach to the terminal. Turn the hook clockwise. Connect the wire hook to the terminal. Place the hook around the threads of the terminal screw. Tuck all wire strands in under the screw head. Tighten the screw using a screwdriver. Connect the other wire to the terminal on the other side by the same means. Insert the prongs back into the plug housing. Seat the inner prongs and terminals in their respective notches one at a time. Replace the divider. Push the plastic divider into the housing between the prongs. If you have any reservations about working with electrical wiring, then leave all such jobs to licensed electricians.